Introducing Arenosa BQ. Arenosa BQ are inspired by the popular graphics of the city of Barranquilla, it´s perfect to emulate the popular graphics of the city. 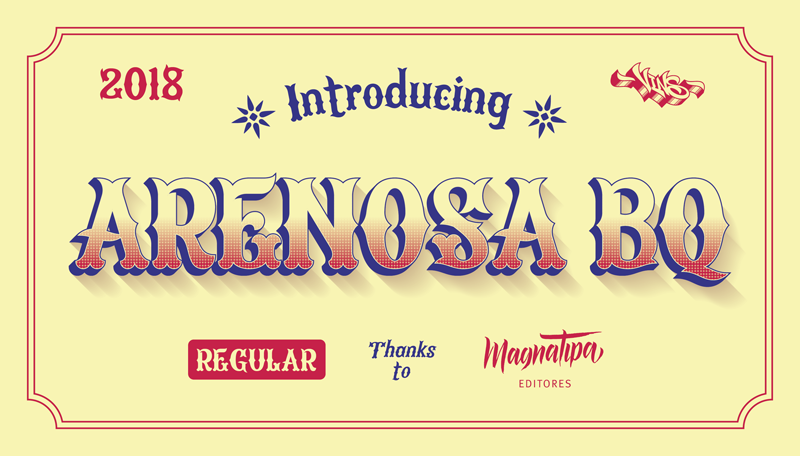 The structure of Arenosa BQ has a combination of Tuscan and Handwritten styles but with a modern look. The fonts are excellent for the design of posters, logos, illustrations or allusive pieces in the city of Barranquilla.